Bolaji Abudullahi, National Publicity Secretary of the All Progressives Congress (APC).Saraki, who was the chief host of the occasion, said “a country produces the kind of leadership it gets’’.“I think it is us Nigerians, that produce the kind of leaders we get; no matter what you say about Jonathan, I don’t think he was someone who was desperate for power,“ he said.He added that Jonathan was not someone that was prepared for leadership but became the president of the country either by “misfortune or fortune“. The president of the senate added that it was unfortunate that Nigerians knew the right things to do, but would not do it but would keep playing the blame game.He expressed optimism that the book would be cherished by Nigerians going by its quality. In his remarks, Gov. 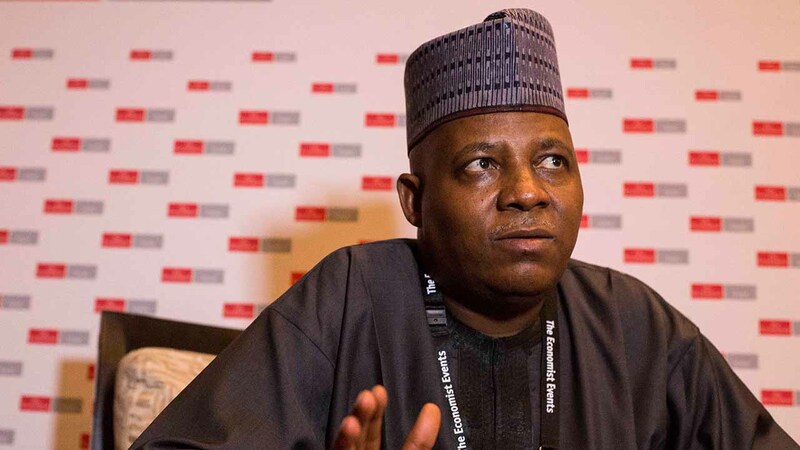 Kashim Shettima of Borno, said that there was need for the political class to place national interest above other considerations to ensure the country`s development. The governor, who was the chairman of the occasion, also tasked politicians to work assiduously towards building the country in the interest of all.He spoke extensively on the Peoples` Democratic Party and President Goodluck Jonathan`s administration, saying that though Jonathan was a “decent person“, he was surrounded by wrong people. “Sadly, Borno was the epicentre of the crisis that engulfed the Jonathan administration; I think President Jonathan is essentially a decent person, an unsophisticated country politician caught up in the vortex of power politics in Nigeria. “When the Chibok girls saga started, they made the president to believe that there was no abduction, that the Chibok girls were kidnapped by the governor of Borno,“ he said. Shettima said that Jonathan believed the story, which was meant to embarrass his administration.“I was in Chibok, my wife was in Chibok and there was a global outcry on the issue, but Jonathan was in a world of his own created by the clowns and also the misfits around him,’’ he said.He added that in spite of the situation, Jonathan was an honest man. According to the governor, sheer display of bad governance, lack of political sagacity and will-power squandered the enormous goodwill the Jonathan administration commanded.He said that such situation consequently got him voted out of office in 2015. Shettima disclosed that because of Jonathan`s honesty, “he recently confided in Sen. Ben Bruce that his major undoing was his poor relationship with the Borno governor’’.He wished Jonathan luck in his retirement, saying “ he can redeem himself by serving God, humanity and Africa“. The governor insisted that rather than emphasising issues of restructuring the country, efforts should be made to improve governance. “Let us work for the people, invest in education and create jobs for our people,’’ he said. On his part, Kwara Governor, Abdulfatah Ahmed, said that the book would serve Nigerians and help review the country`s political history.He also said that the book would be important to politicians and history students across the country.